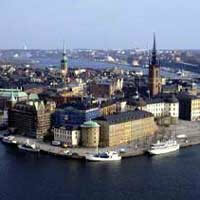 Experience two Nordic stars on a vacation to Denmark and Sweden! 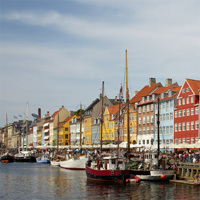 Visit Copenhagen (A cozy European capital, filled with stunning architecture, historic sites, world-class museums, and some of the best shopping and dining in Europe.) 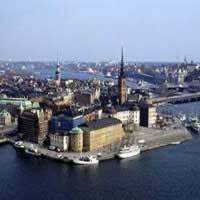 and Stockholm (Built on 14 islands around one of Europe's largest and best-preserved medieval city centers, with stunning and extremely varied scenery in every direction.) Travel between them by flight. This is a flexible package. Select your number of nights in each city, desired hotel and activities. 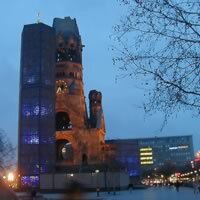 Combine Berlin, Copenhagen and Stockholm with the ICE and the X2000 Trains. Combine Stockholm, Copenhagen, Oslo and Bergen with flights between cities. 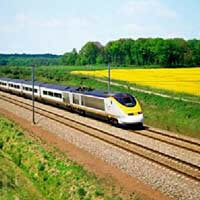 Combine Copenhagen, Odense, Malmo, Gothemburg and Stockholm with the IC and X2000 Trains. Combine Copenhaguen, Gothemburg, Stockholm, Karlstad, Oslo, Lillehammer, Bergen and Oslo with flights and train connections between cities. Combine Reykjavik (spectacular landscapes, from the edge of a fjord to the foot of a glacier just minutes away) and Copenhagen (a cozy European capital, filled with stunning architecture, historic sites, world-class museums, and some of the best shopping and dining in Europe) plus Stockholm (built on 14 islands around one of Europe`s largest and best-preserved medieval city centers, with stunning and extremely varied scenery in every direction) Flights between cities. This is a flexible vacation package. Select your number of nights in each city, desired hotel and activities. Combine Reykjavik (spectacular landscapes, from the edge of a fjord to the foot of a glacier just minutes away); Copenhagen (a cozy European capital, filled with stunning architecture, historic sites, world-class museums, and some of the best shopping and dining in Europe) plus Stockholm (built on 14 islands around one of Europe`s largest and best-preserved medieval city centers, with stunning and extremely varied scenery in every direction) and Oslo (situated by a fjord and surrounded by hills and forests) with a flight between cities.This is a flexible vacation package. Select your number of nights in each city, desired hotel and activities. Didn't book any additional activities through the site, but the app was extremely helpful!